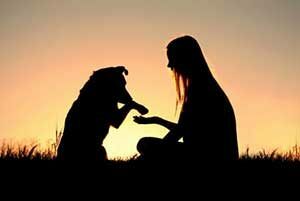 There is nothing in this world that matches the companionship of a good dog. 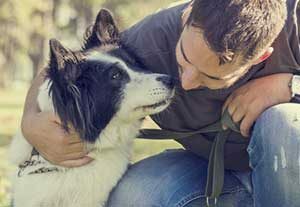 A dog is a friend, a companion, a playmate and more. However, dogs need training, and if you’re new to the world of pet ownership, you might feel overwhelmed at all the information that is out there. Understanding how to discipline a dog is a complicated manner. Dogs need discipline, this much is certain. The wrong kind of discipline, however, especially when administered in the wrong situation, can teach your dog even worse habits. It can also contribute to further behavioral issues. Nip these potential issues in the bud and help build the foundation for a long, happy, and low-maintenance future with your furry best friend. Before we get into any ideas for disciplining a dog, we’re going to say right at the outset that hitting a dog is never a good idea. First of all, if you hit the animal with too much force you could hurt it – this is cruel treatment of your friend, and something we would never condone. However, there is another reason to refrain from hitting a dog as well. A dog can’t communicate in words, and if you hit it as a reaction to something it does, it could perceive this as aggression. This can cause long-term personality problems with the dog, including, but not limited to increased aggression and unpredictable behavior. Not only is hitting cruel, it’s an ineffective disciplinary method, so forget about that idea before you even get started. When it comes to disciplining a dog, timing is everything. Whatever action you ultimately decide to use for discipline, you have to realize that a dog’s learning is mostly based on what psychologists call either classical conditioning, or operant conditioning. The key to both of these learning methodologies is that they require the stimulus, reward or punishment to be linked very closely in time to the behavior that you’re trying to change. So what happens if you get the timing wrong? Actually, a lot of unexpected things can happen. Imagine that your dog chews up your favorite shoes, and then goes to lay down in its kennel. You walk over to the kennel and scold the dog profusely for doing so. The dog isn’t going to associate the scolding with chewing the shoe, but instead think that it is being punished for going in its kennel – likely the opposite of the result you were aiming for. What this means is that when you apply discipline to a dog for doing something that you do not want it to do, you need to catch the dog in the act. If you discipline the dog at any other time, it is going to associate that discipline with whatever it is doing currently, not with the offense that you are trying to target. There are several things you can do when a dog behaves in a way that you don’t want it to, that will let the dog know that it has done something that is not in the realm of acceptable behavior. First, simply saying “No” in a firm, loud voice is a good way to startle the dog and make it realize that it has misbehaved. Note that we said “say”, not “yell” or “scream”. Dogs are excellent at reading emotion, and if you lose your temper with your dog, you will stress it, make it angry, or panic it, none of which are your desired result. You can also punish your dog by removing a stimulus rather than presenting one. For instance, if a dog is aggressively lunging at food, remove the food. Don’t bring it back until the dog has calmed down. It should go without saying that this is not about withholding food (which you should never do) but removing the bowl – the stimulus causing the dog to act inappropriately. You can also correct a dog using another sort of sharp, distracting noise. For instance, you might clap, whistle sharply, or make the “TSCH” sound you may have heard coming from TV dog trainer Cesar Milan. Any of these can work as long as they are delivered appropriately tied to the behavior you wish to stop. A water gun or spray bottle can also be useful when you need to discipline a dog. Sometimes a puppy will have the instinct to bite at you when it is trying to play or get attention. Obviously this is undesirable behavior. A gentle squirt with a water bottle can quickly make the pup realize that this behavior won’t be tolerated. Now, disciplining a dog is typically the type of action you take after the dog behaves in a way that you don’t want it to. However, it is working backwards to try and think about the best ways to correct a dog when they perform undesired behavior. Instead, you should be asking how you can train your dog to ensure it acts in a desired manner in the first place. Positive reinforcement and reward have been shown repeatedly to be the most effective way to train a puppy to act in a certain way. You need to teach your dog or puppy what you want it to do, and then praise and reward it in a way that reinforces that behavior. Regular praise can be very effective in this regard, but treats are often doubly so. You can find small treats that are specifically designed for training so that you can give many to a dog in a session without overfeeding. Imagine you want your dog to learn a command to go lay on its dog bed. Take a treat and lure the dog over to the bed. Lower the treat to the ground, and wait until the dog lays down. Then, say your command, and give the dog the treat. 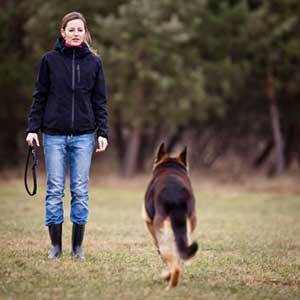 Clicker training is another very popular option for training a dog. First, you need to associate the click of the device with reward – click the button and then give your dog a treat. Eventually, a click should draw the dog’s attention quickly as it waits for a reward. Then, you can start to encourage behaviors with the clicker. Imagine your dog lies down. As soon as he does, click the clicker and give the dog a treat. As soon as he associates the click with lying down, start introducing the “lay down” command, following up the desired behavior with a click and a treat. This is a common mistake when dog training, and deserves its own mention. If your dog has an accident in the house, that is the wrong time to discipline a dog. Instead, focus on getting the dog outside quickly, taking it to the place you want it to use as a bathroom and then praising it – praise it more if it uses the spot, providing it with treats and praise. Create a positive situation between the training spot outside and relieving itself, and your puppy will start to correct the mistakes it may be having. Dogs need exercise – often much more than you might realize. If your dog isn’t getting sufficient exercise, you may find it more and more difficult to work with, and training may not have the effect you desire it to. If that’s the case, you might consider enlisting the help of a dog walker to help your dog get the extra exercise it needs. If you need help walking your dog, or if you’re looking for a dog sitter, contact Paw Pals Pet Services to find out how we can help.